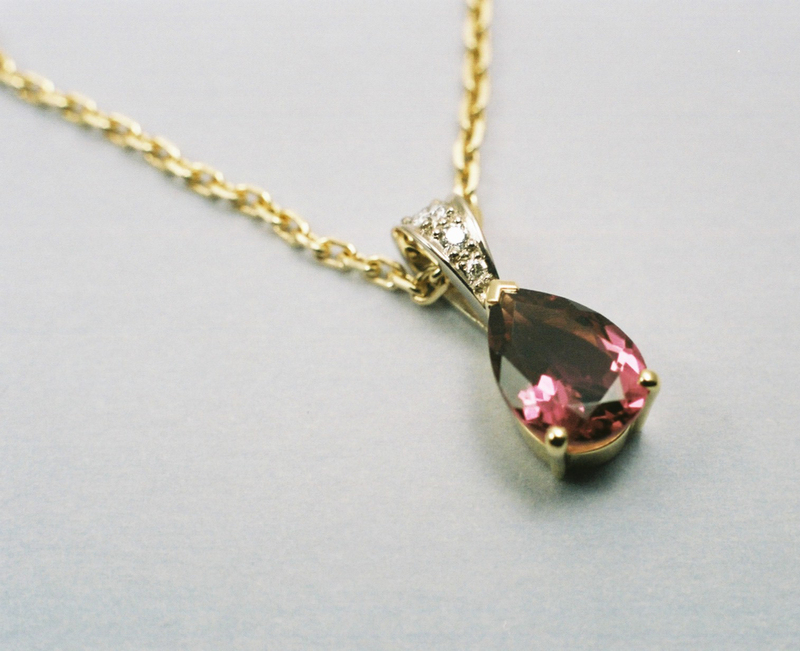 A classically elegant 18ct yellow/white gold diamond and pink tourmaline pendant. 2ct pearshape faceted pink tourmaline in open basket style collet, claw set in 18ct yellow gold. Bail pavé set with brilliant cut diamonds in white gold. Yellow gold chain. Commissioned as a special gift for a V.I.P.